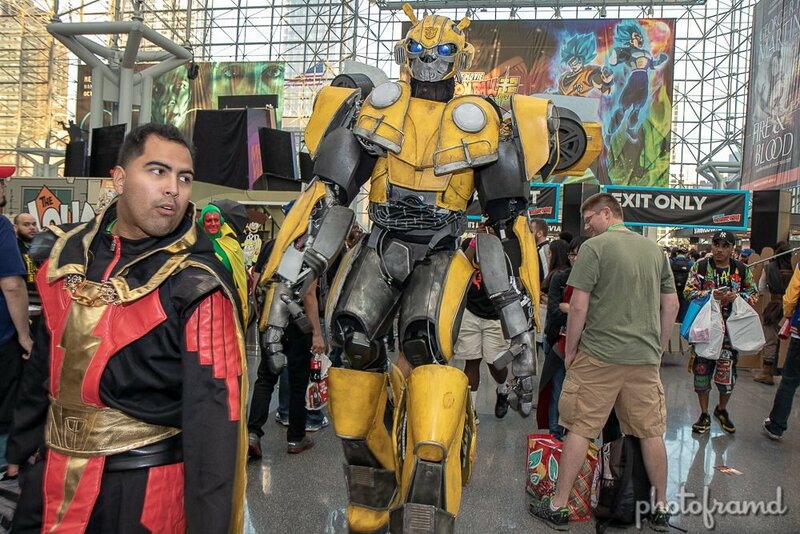 You can always tell when it’s Comic Con when the trains start looking like Times Square 😉 New York Comic Con 2018 was held this weekend at Jacob Javits Convention Center. ReedPop created a great experience for devoted fans of tv, movies and of course comics. There was plenty to do – celebrity panels, previews of upcoming movies and TV shows, and of course, all those collectibles! But, I go for the Cosplayers! Sure, some buy pre-made costumes, but the best are made by the cosplayers themselves. I spoke with a female Thor who made her entire costume in 4-months using a 3D printer. Another person wore a commissioned Deadpool costume which cost $5000! You have to give a lot of credit to these devoted fans. Take a look. Be sure to look at my photos from the Doctor Who Panel at New York Comic Con 2018 – David Tennant, Matt Smith & Alex Kingston. All photos taken with the Canon 7D Mark II and Canon 17-55mm EF-S lens.